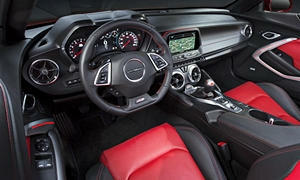 08/25/14 Engine General motors llc (gm) is recalling all 2010-2014 chevrolet camaro vehicles manufactured december 3, 2008 to may 23, 2014. in the affected vehicles, the driver may accidentally hit the ignition key with their knee, unintentionally knocking the key out of the run position, turning off the engine. 06/27/14 Suspension and Steering General motors llc (gm) is recalling certain model year 2014 buick regal, cadillac xts, chevrolet camaro and chevrolet impala vehicles. improperly torqued fasteners may cause the steering intermediate shaft and the steering gear and/or the lower control arm and the lower ball joint to separate. 03/14/16 Electrical and Air Conditioning Genera motors llc (gm) is recalling certain model year 2016 chevrolet camaro, malibu, silverado and gmc sierra vehicles. the radio may intermittently fail to provide an audio warning when the key has been left in the ignition and the door is opened or when the driver does not fasten their seat belt. as such, these vehicles fail to comply with the requirements of federal motor vehicle safety standards (fmvss) number 114, "theft protection", and/or 208, "occupant crash protection." 10/19/15 Electrical and Air Conditioning General motors llc (gm) is recalling certain model year 2015 buick lacrosse, cadillac xts, chevrolet camaro, equinox, malibu, and gmc terrain vehicles. the affected vehicles have front seat-mounted side impact air bags whose inflator may rupture upon its deployment. In the event of a crash necessitating deployment of one or both of the side impact air bags, the air bag's inflator may rupture and the air bag may not properly inflate. the rupture could cause metal fragments to strike the vehicle occupants, potentially resulting in serious injury or death. additionally, if the air bag does not properly inflate, the driver or passenger is at an increased risk of injury. 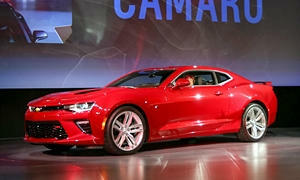 Gm will notify owners, and dealers will replace the side impact air bag modules, free of charge. the recall began on october 19, 2015. owners may contact buick customer service at 1-800-521-7300, chevrolet customer service at 1-800-222-1020, cadillac customer service at 1-800-458-8006, or gmc customer service at 1-800-462-8782. gm's number for this recall is 01320. 12/26/14 Electrical and Air Conditioning General motors llc (gm) is recalling certain model year 2011-2012 buick lacrosse, regal and chevrolet camaro, as well as certain 2010-2012 cadillac srx, chevrolet equinox and gmc terrain vehicles, equipped with power height adjustable driver and passenger seats. in the affected vehicles, the bolt that secures the driver's and passenger's power front seat height adjuster may fall out causing the seat to drop suddenly to the lowest vertical position. 05/06/09 Electrical and Air Conditioning Gm is recalling 1,243 my 2010 chevrolet camaro equipped with a v8 engine. the positive battery cable may contact the starter motor housing and cause wear on the cable insulation. if the insulation wears through to the cable, it could create a short. A short could result in a no start condition, cause the vehicle to stall without the ability to restart, or result in an engine compartment fire. Dealers will reroute the positive battery cable to ensure adequate clearance. the recall began on may 6, 2009. owners may contact chevrolet at 1-800-630-2438 or at www.gmownercenter.com. Gm recall no. 09121.owners may also contact the national highway traffic safety administration's vehicle safety hotline at 1-888-327-4236 (tty 1-800-424-9153), or go to http://www.safercar.gov . 12/26/01 Other Vehicle description: certain passenger vehicles fail to conform to the requirements of fmvss no. 208, "occupant crash protection," and no. 214, "side impact protection." these vehicles may have welds near the lower driver's side door hinge that do not meet specifications.